A full line of vacuum pump inlet traps that can be customized by users to protect the vacuum pumps and lines on atomic layer deposition (ALD) tools from particulates and unreacted precursors is available from MV Products of North Billerica, MA. 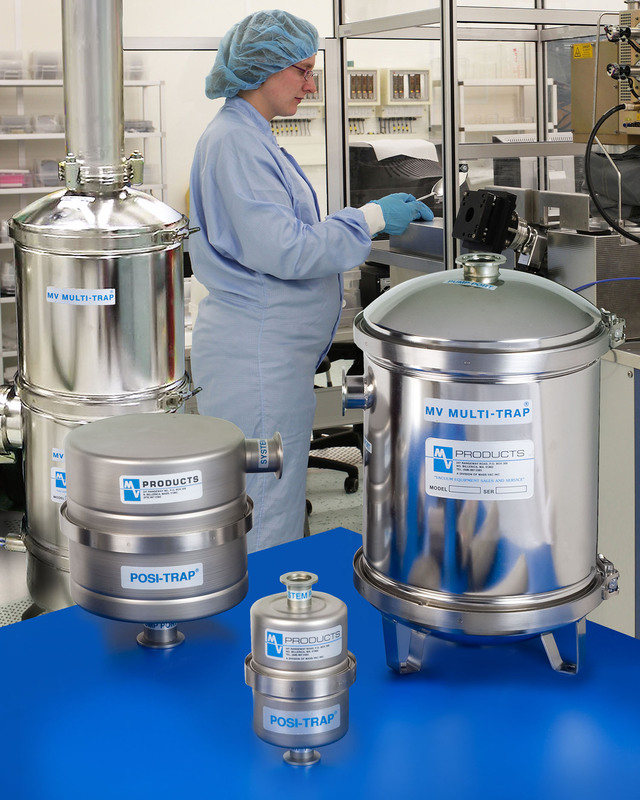 Available for both research and production applications, MV Vacuum Inlet Traps for ALD processes Traps range from 4” to 16” dia. with port sizes from NW-25 to ISO-160 and use interchangeable filter elements. Filter types include stainless steel gauze for particle filtration, activated charcoal for unreacted cursor adsorption, Sodasorb® for acid neutralization, and Sulfatreat® for H2S neutralization.